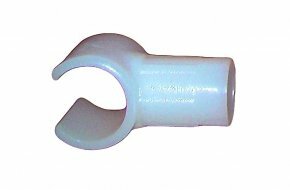 Plastic tubing is a strong, light and economical material for the construction of everything from storage hangers to market stalls and these specialist fittings are designed to make construction and break-down quick and easy. 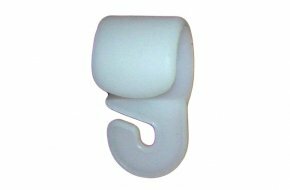 Pole end 'T' clip manufactured in opaque plastic, used to construct frames from 19mm plastic tubing. 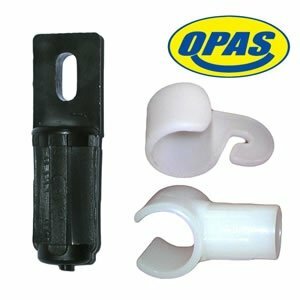 Pole end 'T' clip manufactured in opaque plastic, used to construct frames from 20mm plastic tubing. 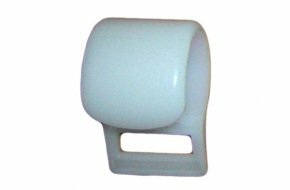 Pole clip eye manufactured in opaque plastic; one size fits 19 to 22mm plastic tubing. 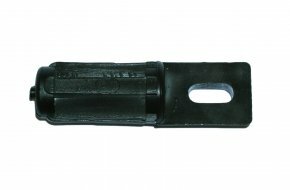 Tube end eye manufactured in black plastic that locates into the end of 19mm dimater tubing.